Pidala Ornamental Iron has been on the forefront of craftsmanship, technology and affordable pricing without sacrificing the quality of our product. Pidala Ornamental Iron is located at 3519 Cesko Avenue, Cleveland, Ohio 44109. Located just off Fulton Road south of the Clark/Fulton intersection. 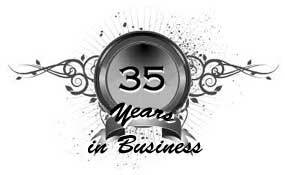 Family Owned and Operated for over Thirty-Five years!